Unique Maritime Group (UMG) announced today that it has set up the first Hyperbaric Reception Facility (HRF) in the Middle East thus raising the safety level for all divers currently operating in this area to a new level. The purpose built system by Unique Hydra, a division of UMG, will be installed at UMG’s facility in the Hamriyah Free Zone, Sharjah. Major oil companies and dive operators with a view to utilizing the system have already shown considerable interest and the first contract announcement by UMG is expected before the end of the month. Harry Gandhi, CEO of Unique Maritime Group commented “Bringing one of our state of the art Hydra HRF systems to this region is testimony to our commitment for safety, diver care and providing first class services to the operators in this area. I am very proud that we are the first company to offer this potentially lifesaving facility and congratulate Ian and the team on the job they have done in setting this up in UAE”. HRF units are used in the diving industry to ensure that in the event of an emergency evacuation of a diving support vessel (DSV) with divers in saturation; a more controlled and comfortable decompression and medical treatment will be available for the divers. The HRF dive chamber is able to receive a self-propelled hyperbaric lifeboat (SPHL) with a bottom mating trunk or a hyperbaric rescue chamber (HRC) via an end-mate or a side-mate custom spool and clamp arrangement. Their HRC or SPHL after launch can be transported to the HRF which is set up at a shore facility where monitoring and decompression of the divers can be safely completed. Commenting on this initiative, Ian Huggins, GM @ Unique System FZE stated “Unique sees a demand for this type of life support unit in the region and have made the decision to build and deploy the HRF into the local region to support commercial diving operators in their process to further enhance the safety of their diving teams. We are offering to closely work with the diving operators to make sure that their respective hyperbaric lifeboat chambers will mate with the HRF here." Unique Hydra is a leading manufacturer and supplier of diving equipment to the oil and gas industry. Their experience has given Unique Maritime Group a leading edge in obtaining contracts involving the design, production, supply and maintenance of its specialized equipment. Unique Hydra manufactures and offers a complete range of diving systems – from air and mixed gas to complete saturation diving systems encompassing Divers LARS and Wetbells. 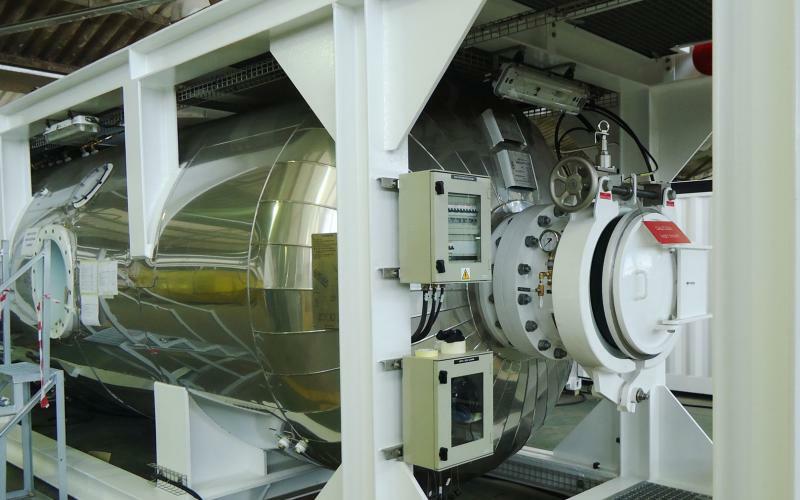 Some of its other equipment include the daughtercraft systems, breathing air compressors and decompression chambers.